This month we are adding a new type of conditional formatting to the new table and matrix visuals: data bars. Data bars are a quick way to format your data to make it easier to compare ranges of values. They’re visually similar to turning a column of your table or matrix into a bar chart. There are two ways to turn on data bars. The first is from the field well. From the right click menu, select Data bars on any numeric measure on your table or matrix. This launches a dialog for customizing the data bars. Once you confirm your settings, you’ll see the data bars applied to the visual. You can also turn on color scales and data bars from the formatting pane by selecting Conditional formatting. Set Color scales or Data bars to On to apply the default settings or, to customize the settings, select Advanced controls. For line charts, area charts, and the lines of combo charts, we are adding a new formatting option that allows you to show markers on each line. You can pick between a list of different marker shapes and control the size and color of the markers. By default, when you turn markers on, a circle will apply to each line, matching the color of the line. 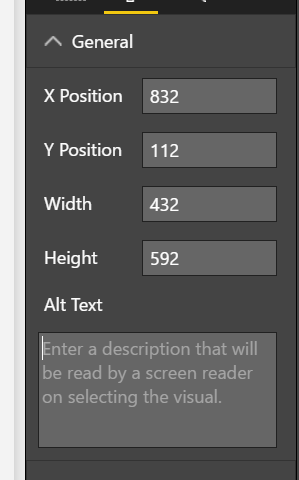 Using the Show option, you can also format each line separately, including stroke width and markers. With this feature on and off independently from each other, which is useful if you want to call out only one line with markers or a thicker stroke. The legend of your line chart will automatically update to show the corresponding marker in the legend. This feature is not only great for adding some personalization to your charts, but is also very useful if you have any color-blind users. By adding markers to your lines, you are no longer relying solely on color to differentiate the lines from each other. Microsoft’s mission is to empower every person and every organization on the planet to achieve more. With over 1 billion people with disabilities in the world, we’re passionate about ensuring Power BI reports are designed for people of all abilities, so they are accessible to everyone within your organization. This month is the first of several updates with accessibility in mind. 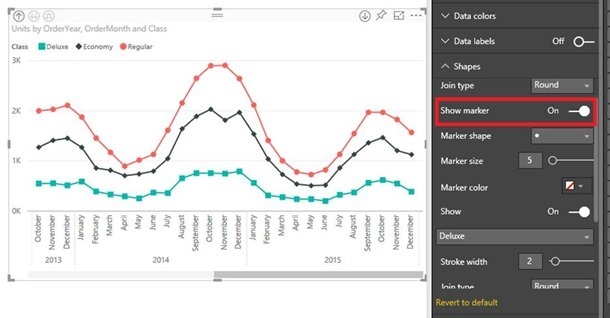 This first release allows users to consume Power BI reports using keyboard navigation and screen readers. We are also giving report authors new formatting options that help reports more accessible to everyone. When focus is on report page tabs, tabbing will move focus between each page. The title of the page and whether it is currently selected is read out by the screen reader. Load a page using Enter. When focus is on a loaded report page, tabbing will cycle focus between each object on the page, which includes all textboxes, images, shapes, and charts. The screen reader reads the type of object and a description provided by the author. For line, area, and combo charts, make sure to use different markers for each line. This will make is easier for report consumers to differentiate lines from each other. Pick a theme that is high contrast and color blind friendly from our theme gallery and import it using our Theming preview feature. For every object on your report, make sure to fill in the Alt Text under the General card of the formatting pane. This will ensure that even if someone can’t see the chart, image, shape, or textbox, they will be able to know what you wanted to communicate. Consider embedding your reports in a SharePoint site or an app that is accessible to make it easier for viewers reach the reports. 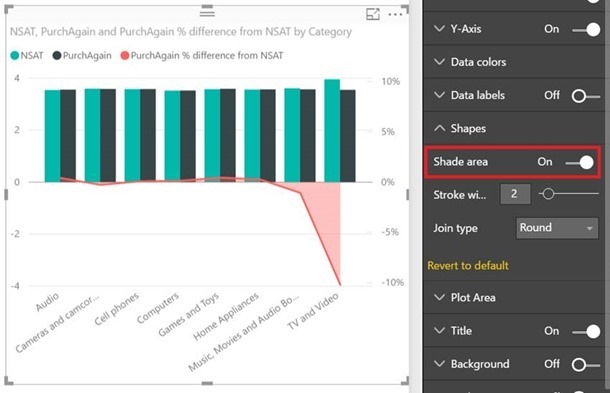 This will make consuming the reports much easier since currently, in the Power BI Desktop and service, only the reporting canvas is accessible. The rest of the experience and navigation are not guaranteed to be keyboard and screen reader navigable. This is just our first release of accessibility features, so make sure to give us feedback on what else you’d like to see and be on the lookout for more features in future updates. 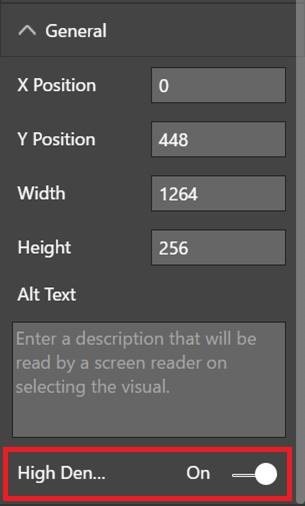 As several of you have already noticed, we've added the same support for font family control in visuals as we already have in textboxes. You’ll find the setting in the drop-down list in the appropriate cards in the formatting pane. There are only a few areas still missing this option, and you’ll see these last few show up in coming releases. The image slicer now supports horizontal orientation. When you have a slicer containing image URLs, set the display to horizontal or vertical by expanding the General section in the formatting pane. We’ve made two formatting updates to combo charts this month. Depending on your data, the zeros of the two axes may not automatically align in your combo chart. If you want to force your zeros to align, you can now turn Align zeros on in the Y-Axis card of the formatting pane. If stylistically you want an area instead of a line on your combo chart, you can now toggle on the shading in the formatting pane in the Shapes card with the other line style features. This month, we made some upgrades to our Bing maps control. We added map themes, so you can better style your maps to match the rest of your report. We also updated our geocoding experience to take advantage of hierarchies. This will make it easier to work with your map and make geocoding more accurate. You can now pick different map themes to use in your maps. You can pick between road (our default) and aerial. You’ll find this option under the Map styles card in the formatting pane. 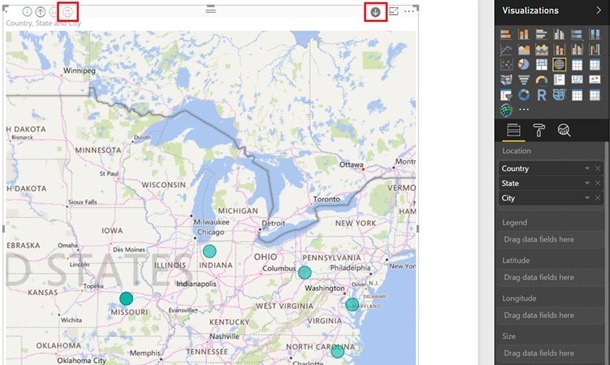 Near the end of June, Bing is upgrading the Bing Maps API we use for our maps to their V8 map control. For the most part, you shouldn’t notice any changes to your map, but you will be able to take advantage of two more themes. When this happens, in addition to the two themes we are releasing now, you’ll see grayscale and dark as options in the dropdown. This change will automatically take place without the need to update your Desktop version, so be on the lookout for this near the end of the month. With this new API also comes a new geocoding experience. Now when you define a hierarchy in the field well of your map and use the “Expand” or “Drill down” option, we will send all the hierarchy information to Bing to use in geocoding. This will greatly improve the accuracy of the geocoding we get back, making sure for example that Paris, Texas shows up in Texas instead of France. You won’t need to wait until the end of June for this change; you can immediately take advantage of this improvement. When using this feature, make sure to set the Data Category in the Modeling tab to the appropriate tag to improve geocoding as well. Based on your feedback, we updated our sampling algorithm for line and area charts. This new algorithm will better preserve the shape of your data and while also surfacing outliers. This new algorithm behind the scenes creates bins along your axis and preserves the minimum and maximum data points for each line within that bin. 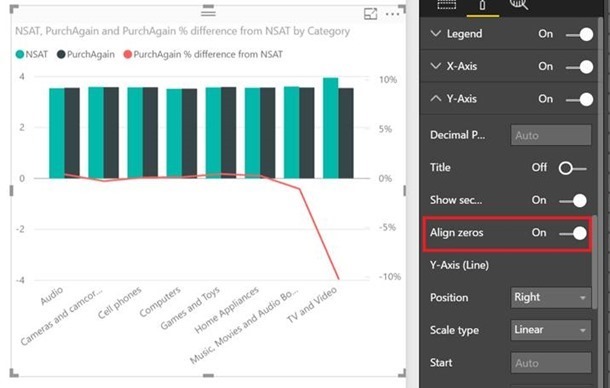 With this change, you should see a noticeably improved experience with any line charts that exceed the data point limit. This sampling algorithm allows you to represent a large number of data points without sacrificing performance and load time. You can learn more about this algorithm in our documentation. If you would like to use the previous sampling algorithm, you can go back by turning off High Density Sampling in the General card of the formatting pane. We will continue to invest in this area and improve other visuals as well, so make sure to give us feedback on the new experience. A few weeks ago, we announced the Data Connectors SDK Developer Preview. 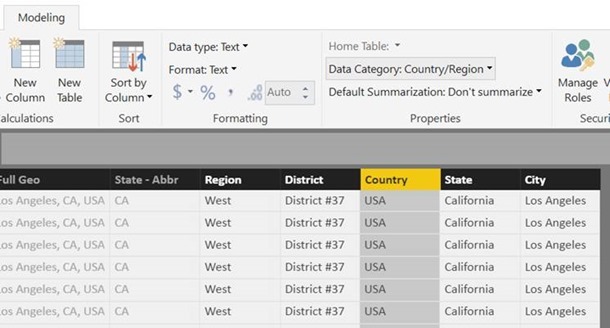 This new SDK allows developers to create their own data connectors that can be easily plugged into Power BI. 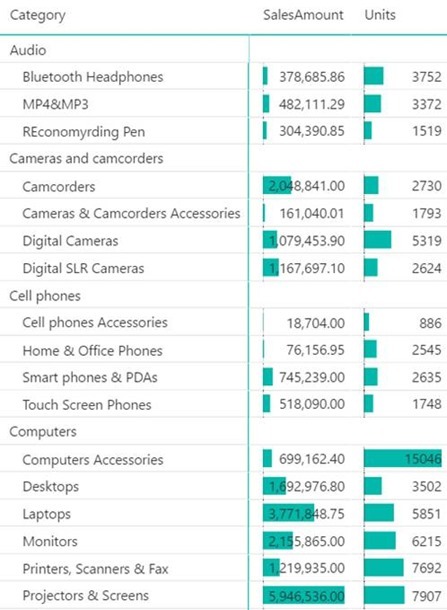 With this month's update for Power BI Desktop, we're making it seamless for you to enable this capability and load custom connectors in Power BI Desktop. You can enable this Preview feature from the Options dialog. 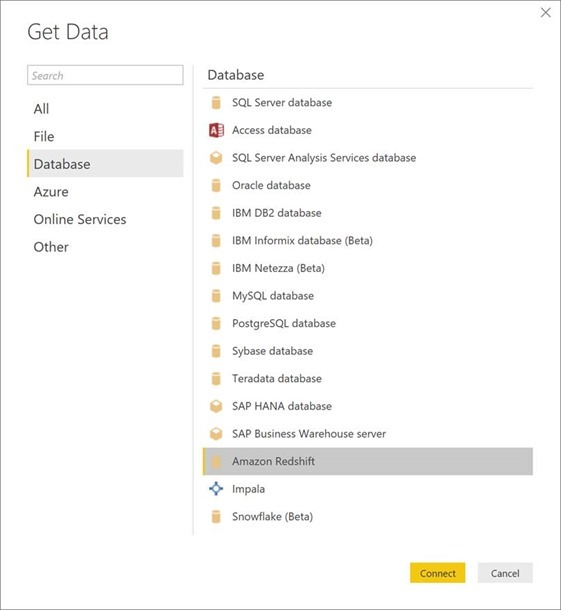 After the feature has been enabled, you can deploy custom data connectors to your Documents folder (under the "Documents\Microsoft Power BI Desktop\Custom Connectors\" folder). These connectors will appear in the Get Data dialog. 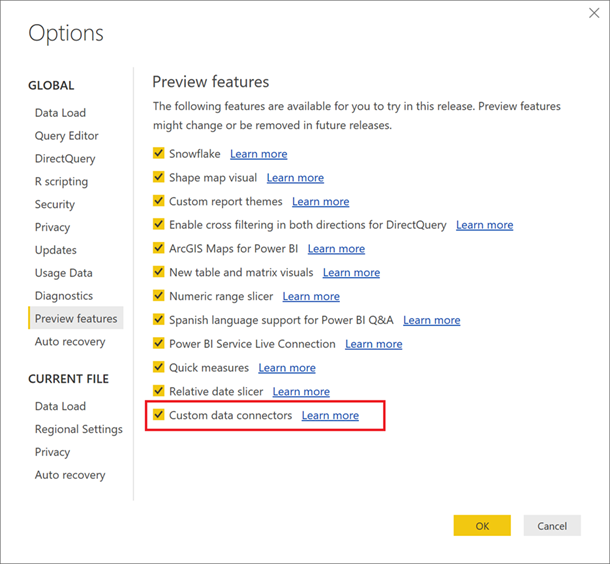 Currently, Custom Data Connectors are only supported in Power BI Desktop. 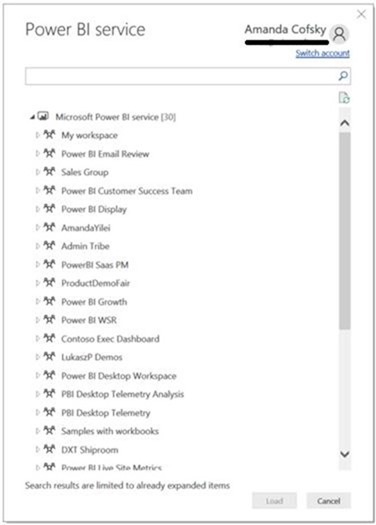 Support for them in the Power BI service and Gateway will come in a future update. 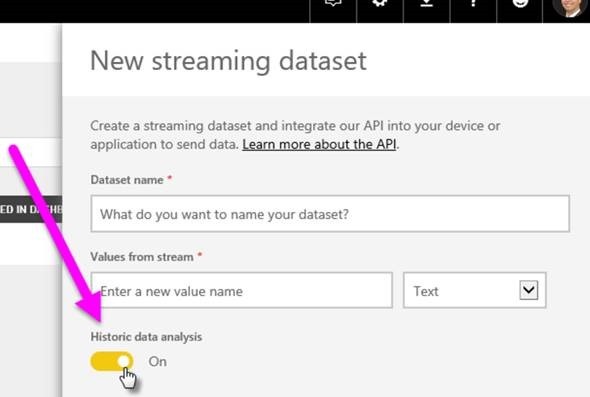 We are updating the Power BI service connector with support for two new types of datasets: on-premises and push streaming datasets. 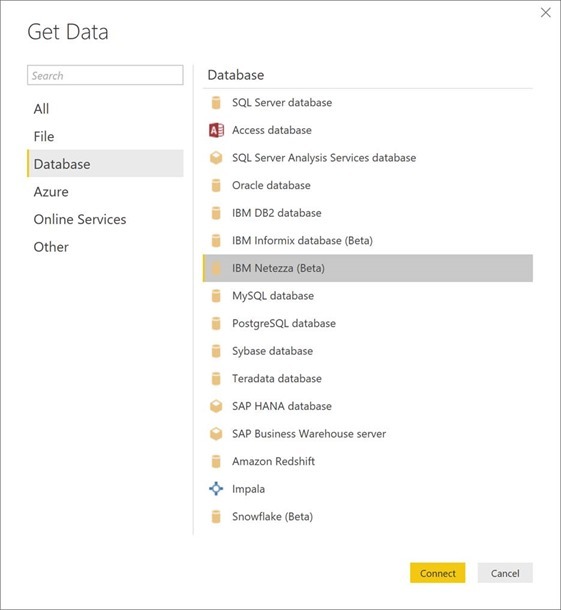 On premises datasets are created by publishing Desktop files connected live to SQL Service Analysis Services, Analysis Services Azure, or Common Data Service, or by connecting directly to an AS database configured to work with an on-premises gateway in the Power BI service. Push streaming datasets are created by enabling historic data analysis when creating the streaming dataset. 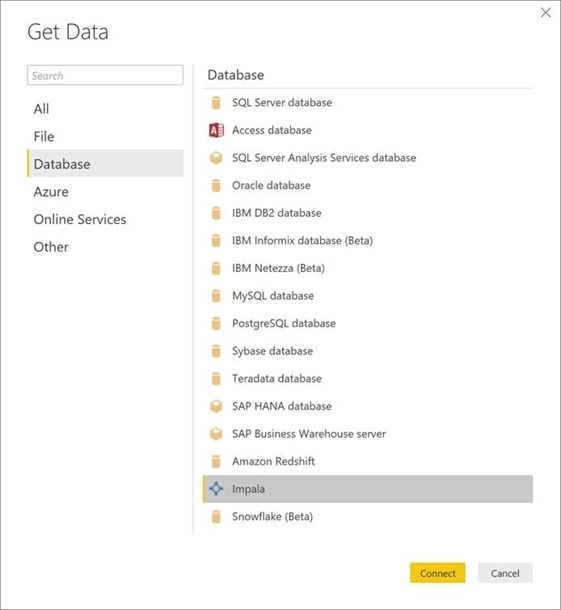 If you have one of these datasets in the service, you can connect live using our Power BI service option. 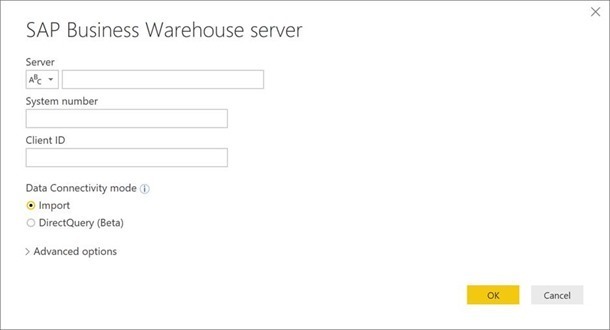 With this month’s update, we’re enabling end-to-end support for the Impala connector in the Power BI service using the on-premises Data Gateway. In addition, we’re declaring the Impala connector generally available (GA). The Impala connector can be found under the Database category within the Get Data dialog. It allows you to create reports based on Impala databases data, either by using Import or DirectQuery modes. Another connector hitting general availability (GA) this month is the Amazon Redshift connector. 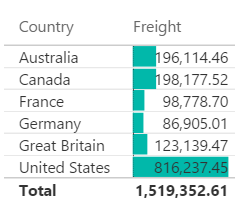 We released this connector late last year as a Preview feature and recently added E2E support via the Power BI service. With this release, we’re making the Amazon Redshift Connector GA. The Amazon Redshift connector, available under Database category in the Get Data dialog, enables you to easily create reports on top of your AWS Redshift data, by using Import or DirectQuery modes. Thanks to everyone for your feedback while the connector was in Preview/Beta stages. This month we’re adding DirectQuery support as an enhanced capability to the SAP BW connector. Note that this new DirectQuery mode is available as a Beta feature, with the main goal of gathering customer feedback about overall capabilities and performance. It’s not recommended for use in production scenarios( unlike Import, which is already generally available). When using the SAP BW connector, you will now get an option to select Import or DirectQuery in the connector dialog. After selecting DirectQuery, you will be able to browse the list of cubes and provide any required or optional parameters needed. 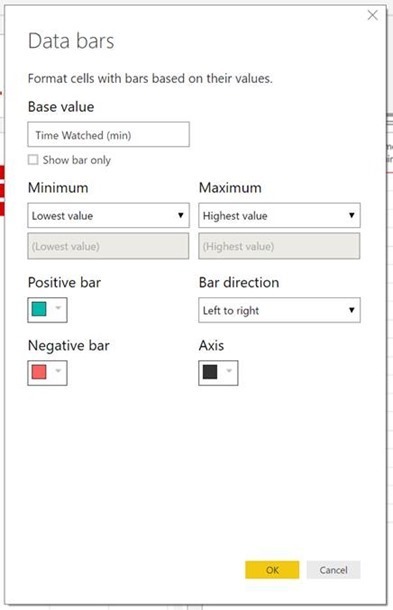 Once you click Load, you will be taken into the main Power BI Desktop window where you can start creating report elements that are directly connected to the underlying SAP BW cube objects (dimensions, measures, hierarchies, etc.). We’ve released a new Beta connector this month for IBM Netezza. This connector allows you to easily create reports on top of IBM Netezza databases, either by using Import or DirectQuery modes. The new IBM Netezza connector can be found under the Database category within the Get Data dialog. Upon selecting this connector, you can specify a server and, optionally, a database. You can also select which connectivity mode to use. Suggestions: With this update, as you go into “Add Column from Examples” we will show suggestions for output values based on the contents of other columns and partial contents you typed. These suggestions also help differentiate between multiple transformations where the output value might be the same for a given row. Support for additional transformations: We have added support for additional transformations, including many Date/Time operations. For a full list of supported transformations, please check our documentation article.